Whether you’re feeling creative, or looking for a Valentine’s Day gift on a budget this year, this cute homemade lantern will make an adorable addition to your home. Surprise your spouse with a thoughtful handmade gift that will sit pretty in your living room all year round. What’s more, it couldn’t be simpler to create! Read more for detailed instructions and images on how to make your own glass lantern. 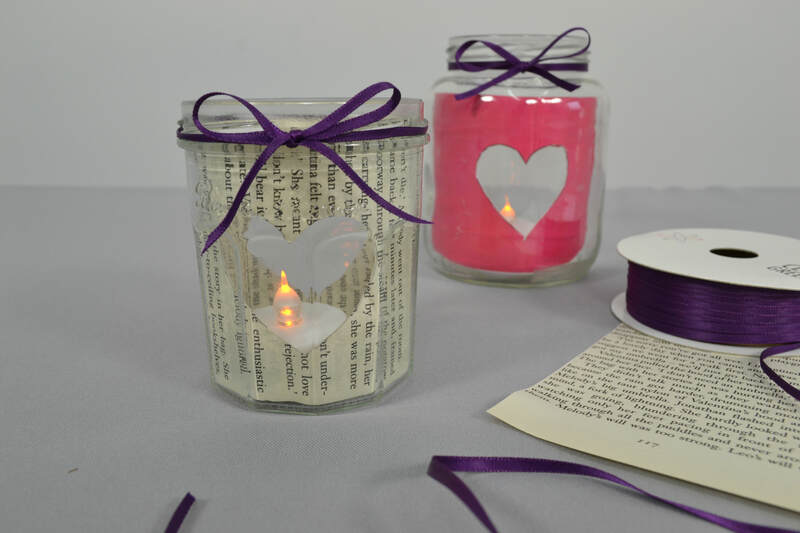 This lantern jar has a real vintage feel, and should fill your room with mood lighting, making for a very romantic Valentine’s evening. Why not make a few and dot them about the place for a really chilled, homely ambience? Use a pencil and ruler to ensure that your edges are straight. You should try to ensure that each heart is in exactly the same spot. We recommend placing the two pages on top of each other when you draw your first heart, so you’ll be able to see the outline faintly on the second page. 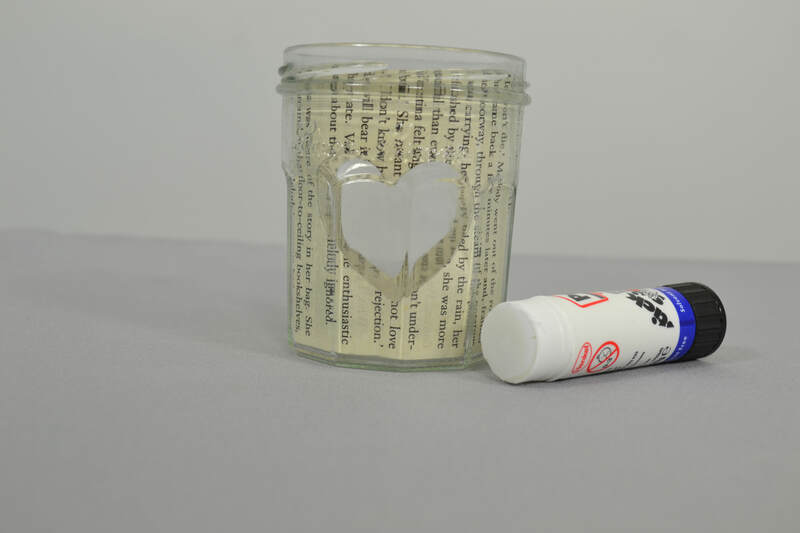 We recommend using a glue stick for a more discreet finish, although you may need to use glue dots to stop the corners peeling away from the jar. We’ve used ribbon to make it look brighter and more eye-catching, however twine can look more homely and rustic. 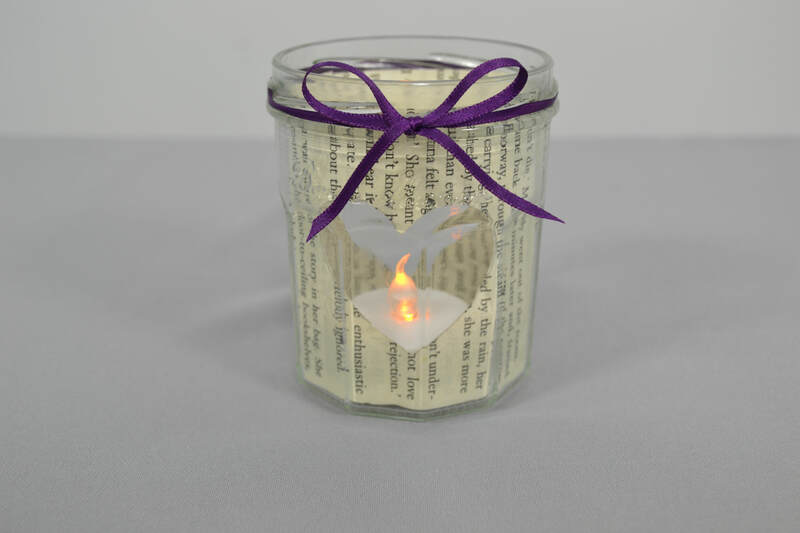 We strongly recommend using a fake candle instead of a real one, as the paper on the inside of the jar could be a fire hazard. Feel free to experiment with different materials or light sources for a brighter, more colourful effect.